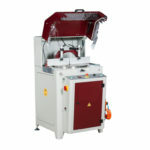 Crater-06 A is a heavy duty automatic upcut miter saw with a 18″ (450 mm) blade. 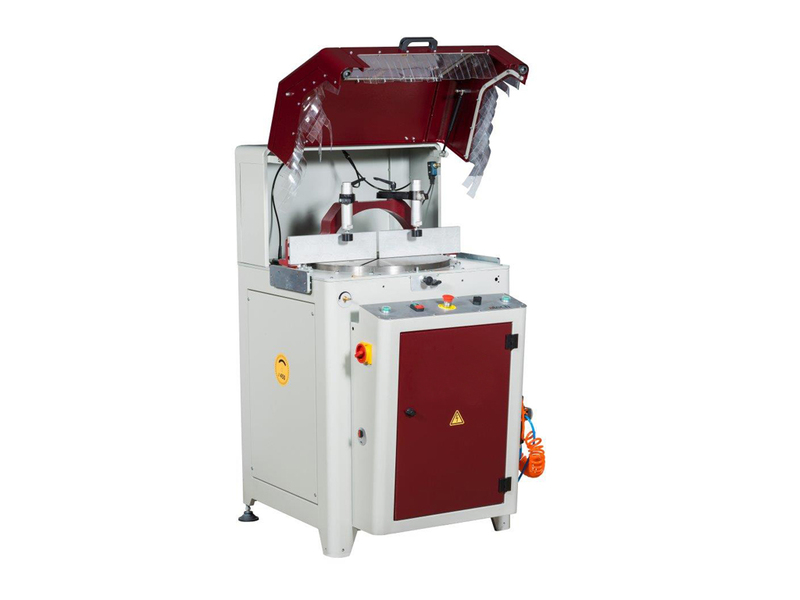 It has 3 main parts; a 450 mm (18″) carbide tipped saw blade, pneumatic twin horizontal & vertical clamps and air guns. 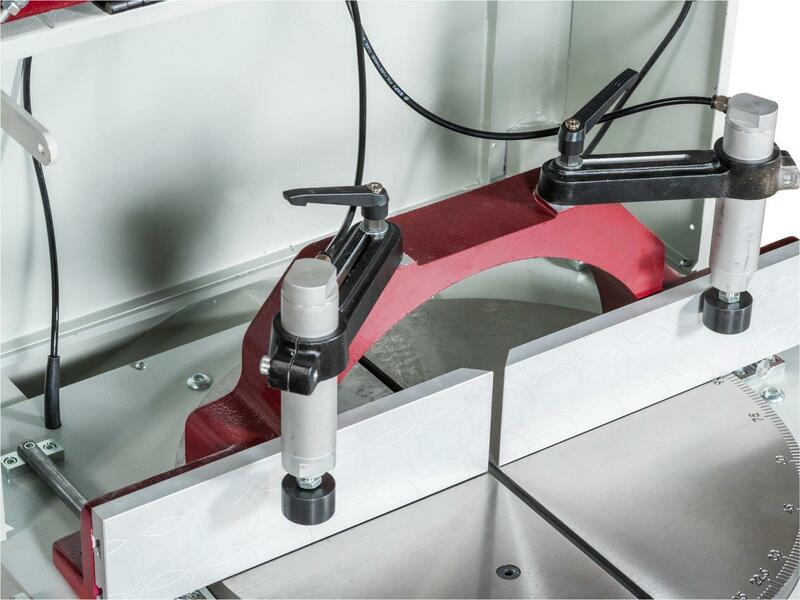 There are also infeed & outfeed tables and pneumatic spray mist lubrication systems among optional equipment. 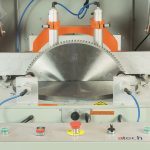 Moreover, Crater-06 A has heavy duty construction for long machine life and hydro-pneumatic saw blade feed, which provides additional power enabling you to cut even solid aluminum. 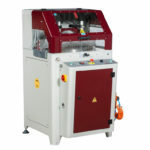 Its movable back fence enables to cut bigger profiles both straight and miter cut. 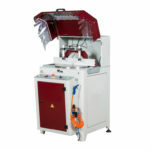 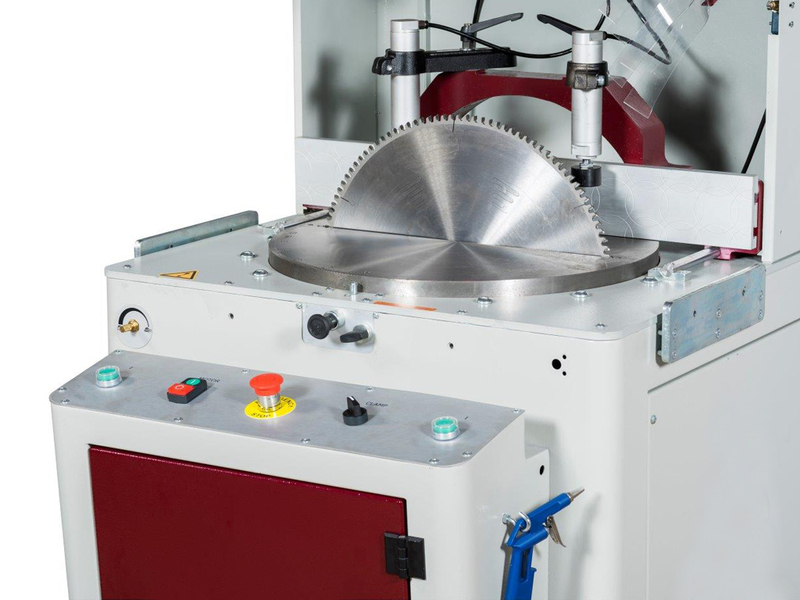 In operation, when the cutting process is finished, the saw blade moves down to its starting position automatically. 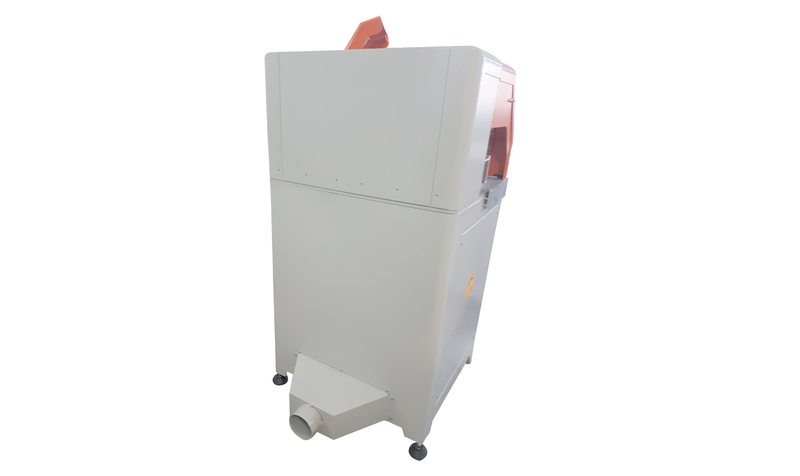 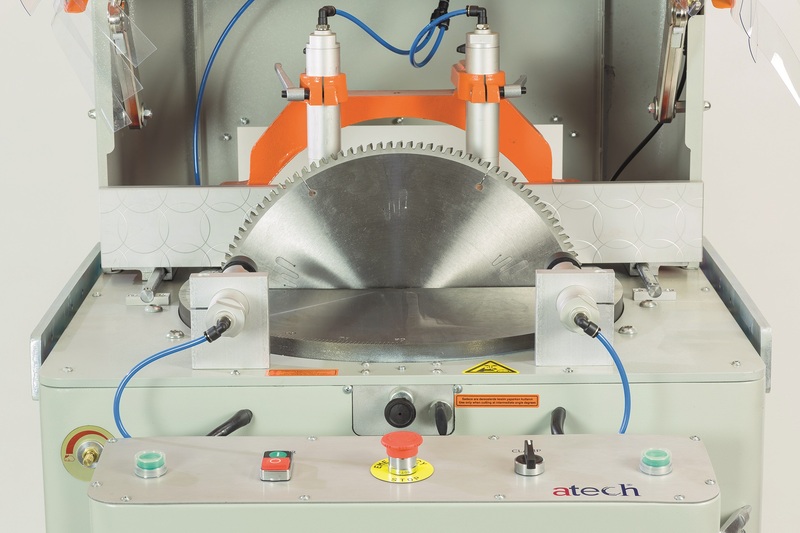 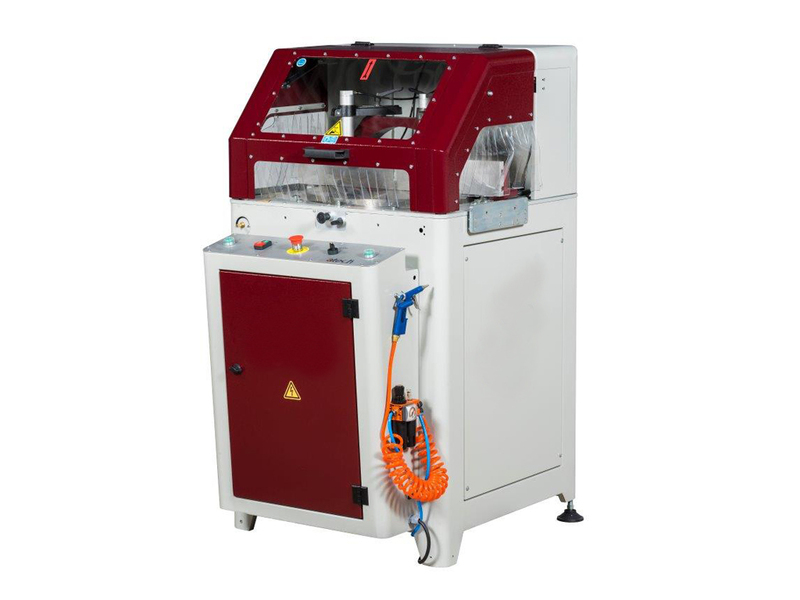 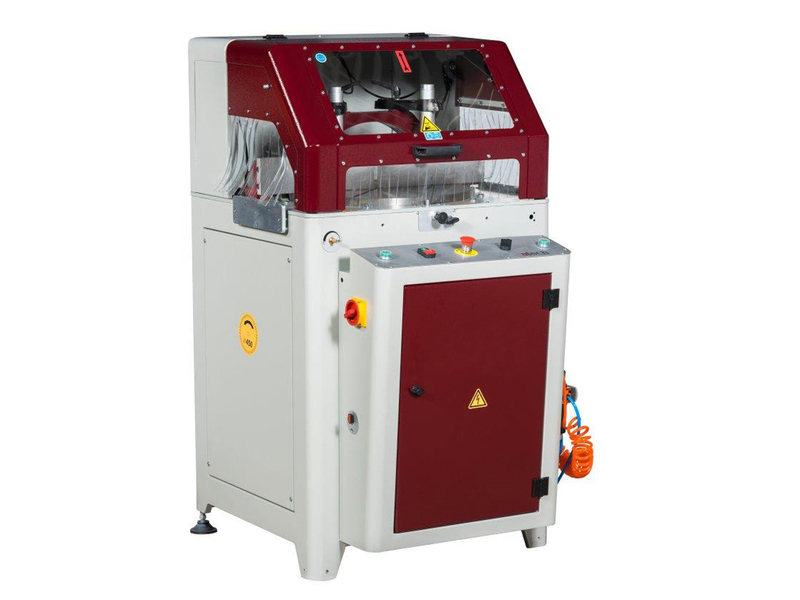 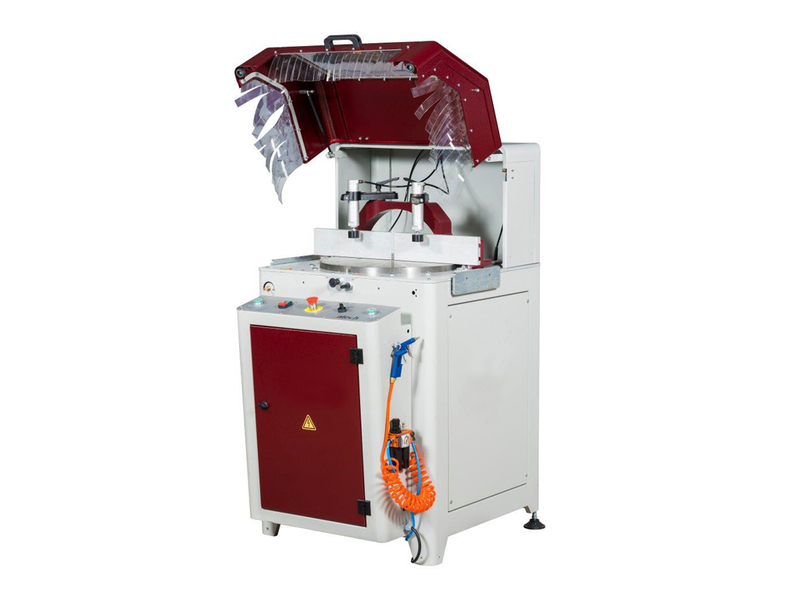 Crater-06 A has a special safety purpose; for instance, if the top guard is opened during the cutting process, the saw blade moves down automatically. 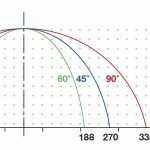 Crater-06 A has also angle adjustments at 15°, 22.5°, 30°, 45°, 90° and 60° on the right side, and its intermediate angles are adjusted via a mechanical stop. 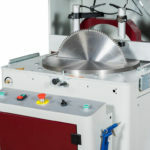 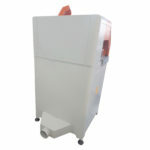 In addition, the rising speed of the saw blade can be adjusted as required. 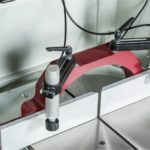 It also has a built-in handle for turning the table to the desired cutting angles. 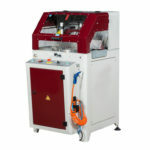 You can access further information about the Crater-06 A at ATechMachinery.com, watch demonstration videos, or read its detailed technical catalog.